Shockingly, terrifyingly, it’s been a decade since the new series of Doctor Who began. I’m trying to remember if I ever imagined that New Who would last ten years, back when the new series was first announced. I suspect not. I think I was so caught up in the excitement of having all those new stories that the joy of the present cancelled out all thought of where it would go in the future. And the past had taught me not to expect too much. The classic series was cancelled before I was old enough to see it, but I’ve plenty of memories of the 1996 TV movie; the run-up, broadcast, and fallout. I remember reading a copy of DWM while on holiday with my family in France, and thinking how silly Paul McGann looked (rest assured, feelings regarding Paul McGann’s appearance have changed substantially in intervening years). 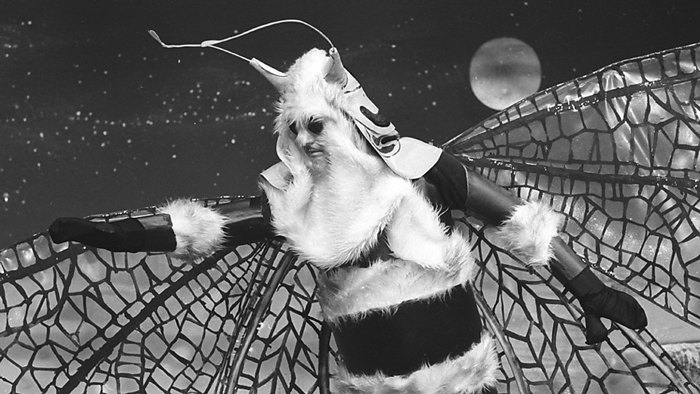 And a sort of expected disappointment at there being no series commissioned (the kerfuffle of the attempted special, The Dark Dimension, had soured me to having any expectations that Doctor Who would ever really return). So when my father called me some eight years later and told me Doctor Who was coming back, I thought it was some sort of joke. And then I ran to a computer and, lo, twas true! Doctor Who! A whole new series! On telly! Saturday teatime, just like it used to be! Bloody hell…it wasn’t going to be terrible, was it? Were they going to do it properly? Did these people know what they were doing? 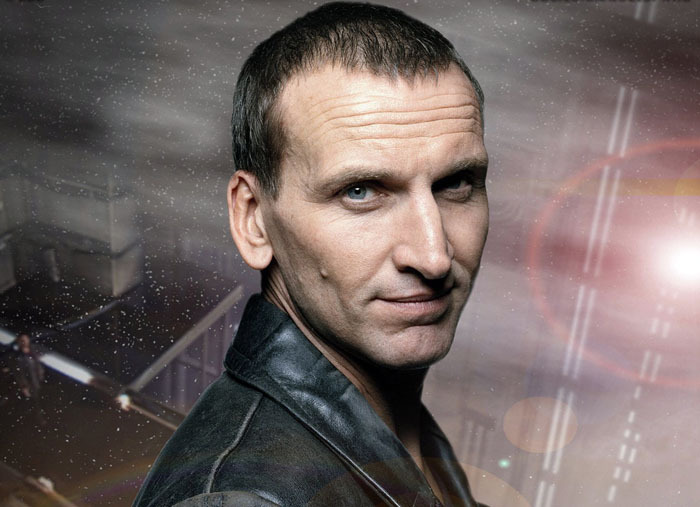 I remember the announcement of Christopher Eccleston –a proper actor! – and how well received that was in fandom, and then the announcement of Billie Piper and the terror that it was eighties stunt casting all over again. I remember the fireball trailer. And the news that the first episode had leaked. 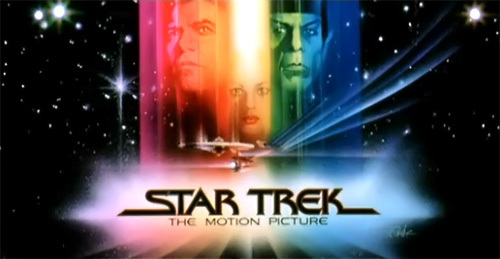 And, ah, acquiring that and watching it, sort of terrified, and then slowly relaxing as, yes, it wasn’t *brilliant* but it was pretty good, wasn’t it? Lots to like, lots of potential, lots of pretty cool moments. And thank goodness, Piper was actually a good actor. And it was fun. Of all the things I was afraid of, I think that was the worst. Thanks to a decade of Doctor Who books that wanted to be edgy and grown-up and taken seriously, I was half-convinced the new show would go the same way, and forget that it was meant to inspire delight and wonder and joy. 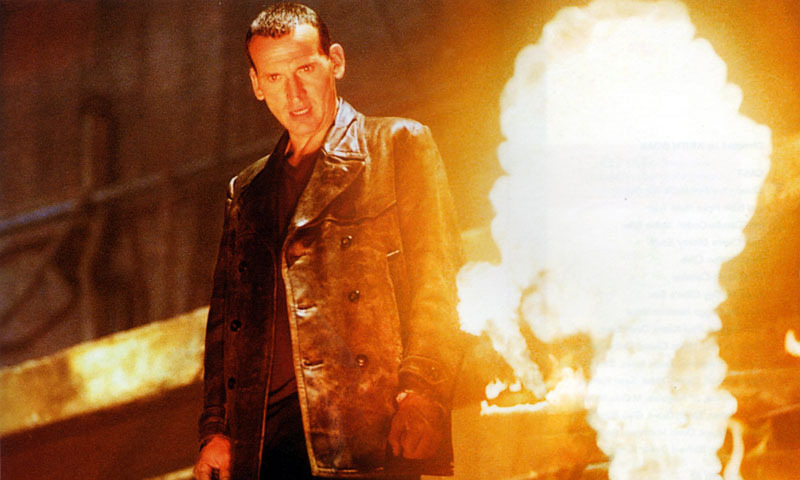 After Rose aired on the telly, I actually missed the next two episodes – I was away in South Africa – and the online reaction to the news that Eccleston was leaving after only one series. (Causing the temporary shutdown of Outpost Gallifrey, at the time the largest Doctor Who forum online.) At the time I felt kind of gutted – I was just getting used to him, dammit! – later on, that developed into oh-so-much annoyance for whoever leaked the news because how cool would it have been if the audience went into The Parting of the Ways unspoiled? The slow realisation that there’d been a war and Gallifrey was gone was something I denied until it was impossible to do so. I loved Gallifrey, and their hats. More than that, I loved the Doctor as a rebel, not as the last of his kind. I understand the emotional hook was very appealing, and that it meant losing a lot of, often very silly baggage, and it gave the Doctor a strong emotional arc for those first few seasons, and may very well have been integral to the success of the new show, but…well, I’m very glad it’s back now, and I hope we get some excellent hats soon. In the week running up to Dalek, every time the trailer played I ran to my telly screen to watch from about three inches away, and cranked the sound up. I was quite giddy, and the episode lived up to some pretty lofty expectations. The last scene in The Empty Child/The Doctor Dances was where my Mum fell in love with New Who and decided Eccleston was her favourite Doctor. I considered this vaguely disloyal from someone who’d been watching since 23rd November 1963. Bad Wolf/The Parting of the Ways was epic, and a week of being incredibly careful to avoid spoilers since the whole story arc had been plastered across pages of British newspapers. I remember the tension as the Doctor chose to be a coward and the TARDIS materialised and Rose stepped out, and when the action moved into the console room and we knew the Doctor was about to regenerate…I may have cried, quite a bit. Ahem. It’s a magnificent year, that first season. I adored it madly at the time. And I still think its splendid now, though New Who has brought me other seasons that have supplanted its place in my heart. And it’s magical, what the team of people making that season managed to do: reignite a national passion for a telly series that was viewed by most of the public as a dusty old relic with silly acting and wobbly sets, and make it one of the BBC’s most popular and beloved shows, giving it the foundation it need to still be going strong a decade later. Thank you very much all. You did good. – This week’s Verity! podcast is about the companions who’ve been most affected by Doctor Who’s missing episodes. – Peter Capaldi shares his memories of Doctor Who returning! – This fanmade trailer for 2005-2015 sums up Quite A Lot of why the series is winning, and also made me laugh outloud (“Fantastic!” “Allons-y!” “SHUT UP!”). Cranky Ladies of History, ahoy! As we all know from, um, watching movies and stuff, timeliness is for losers. Thus, despite being released on International Women’s Day, it’s only now that I write this blog post on the ridiculously gorgeous anthology Cranky Ladies of History edited by Tansy Rayner Roberts and Tehani Wessely, in which I have a story, ‘Little Battles’, concerning a kidnapping incident towards the end of Eleanor of Aquitaine’s epic life. If you can tear your eyes away from the cover (it’s even better in person; I keep stroking the pretty art and cooing at it in a totally normal and sensible way), within you’ll find over twenty stories concerning various historical peoples who challenged the conventional attitudes of their societies, written by all sorts of exciting writers including Kirstyn McDermott, Garth Nix, and Nisi Shawl. There’s a smashing Big Idea post Tansy and Tehani have up on Scalzi’s blog, which explains rather well the instant “omg, yes” feeling so many people got about this book’s concept. 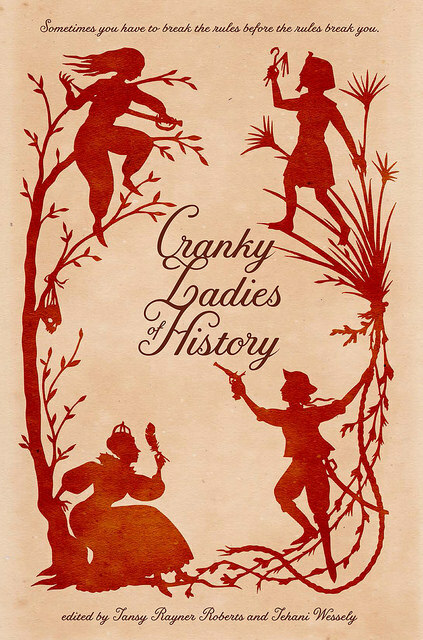 Personally, I was Quite Intrigued at the words “cranky ladies” but then when you add “of history” it’s an instant yes. Over on Fablecroft, you can read about some of the cranky ladies featured in the anthology under the cranky ladies of history tag, and see the launch report, which I would totally love to have attended, if it weren’t for all those thousands of miles getting in the way, dammit. The anthology is available direct from Fablecroft, and at Amazon. – This week’s Verity! podcast concerns the new Doctor Who comics from Titan, and there’s some sort of giveaway we;re having where you can win a $25 gift certificate for Comixology. Free comics! – And I’ve been so neglectful of blogging this week, there’s also last week’s Verity! where they’re discussing the more intellectual companions. I haven’t listened yet, but I can only assume they’ve all come to the sensible conclusion that Liz Shaw and Romana are best, after Babs, obviously. – I just got back into Skyrim a few days ago, and have been busy updating my mods (chicken follower!). And this came up on my Twitter feed today: a touching Skyrim mod memorial for a player who’s passed away. 1 – If Meryt-Neith had a man’s name she’d be regarded as a pharaoh of the First Dynasty of ancient Egypt (ruling circa 3000 BCE) and the world’s first know queen regnant. But since she has a women’s name many historians don’t consider there to be enough evidence to say with reasonable certainty that she ruled. I, with my vast enthusiastic amateur history credentials, consider that she did. 2 – If Ulpia Severina had a man’s name she’d be regarded as an Empress regnant of the Roman Empire (ruling for some time after 275 CE). But since…you get the idea. She was the wife of Emperor Aurelian, who pretty much put the Empire back together after the Crisis of the Third Century. There’s numismatic evidence that after his death she ruled in her own right (coins with her image were minted after her husband’s death). 3 – The earliest physician whose name we know is Merit Ptah, a woman who practiced medicine circa 2700 BCE in Egypt. 4 – The world’s most powerful general circa 1200 BCE was Fu Hao, a Chinese woman. 5 – In 530 BCE Ennigaldi-Nanna founded and became the curator of the world’s first museum, in Babylonia. 6 – When the Emperor Augustus started bringing oppressive laws regarding sexual fidelity, some women in Rome started registering as prostitutes to circumvent them. 8 – The oldest surviving medical text by a woman is from 490 CE. It was written by Metrodora, a Greek physician. 9 – If you don’t know who Fredegund and Brunhilda are, LOOK THEM UP. Two medieval rulers who engaged in one of history’s greatest, most vicious feuds, and it lasted over forty years. 10 – Boadicea is rightfully famous for her revolt against Roman rule. But as a general and tactician she was…not great. You know who was great? Aethelflaed, Lady of Mercia. She was a powerful, energetic ruler of the early tenth century who won her battles. Home from Gallifrey 2015 for over a week now. A nice quiet week as I recover from a hectic weekend of friends, panels, drinking, talking, and flailing at amazing costumes, but no con crud! I blame the fact I’ve been forcing myself to eat broccoli this year. – Despite my, um, less than excellent view of Torchwood, I went along to rather a lot of the interviews and they were fantastic. Funny, charming, entertaining, all those good things. And I saw about twenty seconds of John Barrowman on his first…supposedly an interview but, no, it’s more like an hour long show – The Barrowman Show obv – and it was a bit scary (and overwhelming), but then going back and seeing his whole schtick from start to finish the next day? He’s kind of amazing. The energy and charisma of the man is astonishing. I think the fear came from going into the atmosphere of the room cold, but when you’re there from the start and it builds up, you’re like that frog in the slowly heated up water and you’re okay that you’re boiling to death…and that is clearly the wrong metaphor, but, yes, Barrowman! Impressive. Though I am slightly glad there were numerous children in the audience because I am slightly British sometimes. -Rachel Talalay was there! (Director of many things, including Doctor Who’s Dark Water/Death in Heaven.) And you can hear her on last week’s Verity, and I totally managed a whole sentence at her that came out in words. Ye gods. I am TERRIBLE at meeting people I admire. – I’ve been EXCEPTIONALLY good in convention dealers’ room for AGES, but there were Glitter Daleks (yes, actual real merchandise, released by Dapol some 15 years ago) for sale and so I bought them because my Glitter Dalek Army must GROW. A menoptera. From The Web Planet. Not Gally. –Companion Piece was available in the dealers’ room! And people bought it and I signed copies and people said nice things! Thank you so much to everyone who picked it up! And then it was over, and real life awaited and, lo, it was sadness but also there was real tea and proper cheese sandwiches again, and those things were good and cheering. – The sequel to Jen Williams’ superb The Copper Promise (which I flailed about here) is now out. It’s called The Iron Ghost and I have not read it yet but it is sitting v patiently on my Kindle and you should almost certainly totally buy it. Yes. – This breaks my heart a little bit: it’s a salute to the recently departed Leonard Nimoy by Star Trek Online players. They gathered at a fountain on Vulcan to pay tribute to him. As a gamer and someone who appreciates Nimoy’s contribution to the medium (in STO and most especially Civ IV), it got to me something rotten as a respectful farewell. – If you are in Doctor Who fandom and haven’t yet admired this vid, you should. Set to Taylor Swift’s Blank Space (not a word, I love that song :p), it explores the relationship between the Doctor and the Master over the past forty years.